If you've never heard of JoshFox Bread, ask around. You'll likely soon find a fan. Twice a week, enthusiasts line up at owner Josh Berger's Arcata cottage to pick up the loaves they reserved a day earlier. There are no drop-ins here. Reservations are required. Berger's burgeoning cottage industry bakery is built on word of mouth and the buzz of social media. Some customers have known him since his days at the Arcata Farmer's Market. Others found him through Instagram and Facebook. An ebullient Berger greeted customer after customer by name on a recent baking day. Each week sees 150 craft breads go out his door. There are cookies, too. And, sometimes, pretzels. 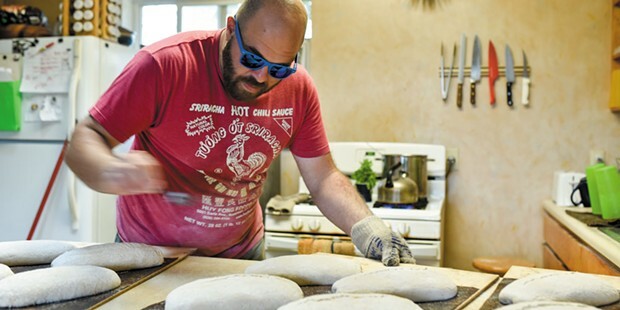 With names like Big Bird, Fig 'n Fennell and Ryebatta, Berger's repertoire of nearly 40 craft breads is a blend of old world and new school techniques. "I like to take a little bit of all of them and have come up with my signature ways," Berger says. 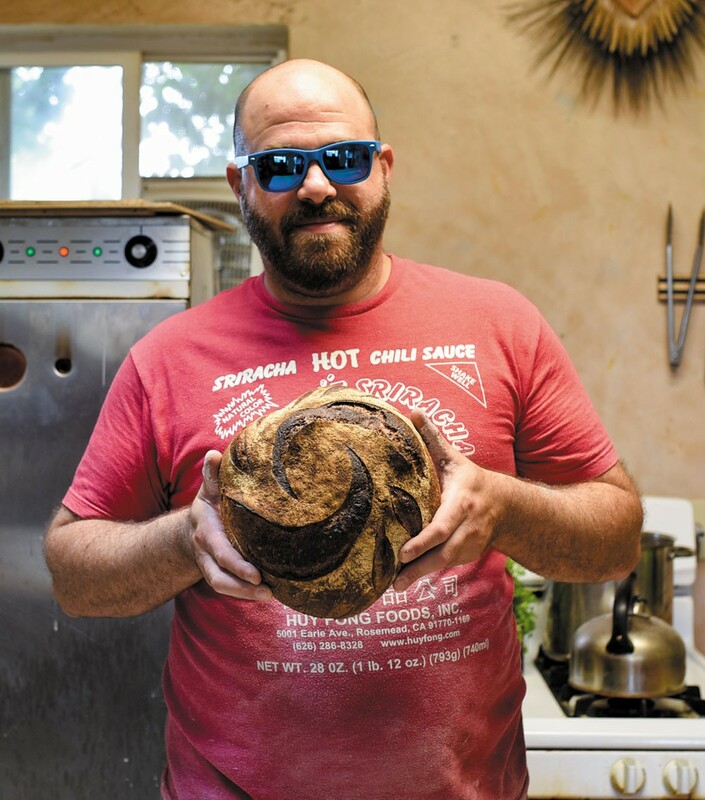 After studying pastry arts at the French Culinary Institute, the onetime Humboldt State University student returned to the North Coast in 2006 to make bread his way. That means hand-milling whole grains in-house and dough that is naturally leavened, which Berger describes as the "future of the bread." "I've got people coming down the middle of this alleyway because they want good bread," he says. "It's the best bread we have," longtime customer Carol Falkenthal says. "It's made in a house. It's a small venture. I totally support Josh." One of the reviews on the JoshFox Bread Facebook page comes with this warning: "Don't try it if you don't want to be hooked." Want to get in on one of Humboldt County's least-best-kept secrets? Text or call (914) 582-8806, visit JoshFox Bread on Facebook or go to joshfox_bread_@instagram. If this were part of NBC's slickly packaged Olympic coverage, I'd begin by telling you Esteban Gonzalez' backstory. The camera would cut to B-roll footage of a ratty old Volkswagen on the Eel River Bar in the late 1980s, where Gonzalez spent four months living out of his car and bathing in the river while holding down three jobs. You'd see old shots of him trudging off to milk dairies cows at 3 a.m., reporting to the saw mill by 8 a.m. and finishing his day washing dishes at a local restaurant until 10 p.m.
Gonzalez would tell you how he'd been born in Mexico City, one of five siblings, and that his father died when he was 7. 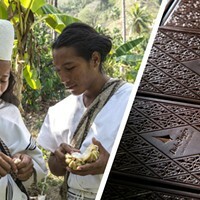 You'd hear him describe how he grew up in poverty and never attended school, "not even kindergarten," and how his mom used to make him help cook beans and rice, telling him that if he couldn't work or go to school, he still needed to do something. At 11, he started walking his neighborhood, knocking on doors and offering to take people's garbage to the dump for a tip. You'd hear him say that, when he was 18, newly married with a child, he realized that if he wanted to make something of his life and lift his family out of poverty, he'd have to move north. You'd hear how he left his new family, his mom, grandmother and siblings, and paid a coyote to sneak him across the border before ultimately settling at an uncle's house in Fortuna. He'd talk about how he became a U.S. citizen in 1993 and saved enough money to send for his family — his daughter, wife and each of his siblings. And then you'd see that crucial moment when Gonzalez' life shifted again with the purchase of a taco truck. He'd tell you how he would call his mom back in Mexico to learn all her recipes, and you'd watch as he perservered through six months of barely breaking even before his business clicked. You'd watch it grow to include another truck and, in 2013, a small restaurant in Arcata, La Chiquita, where Gonzalez now arrives daily by 6 a.m. to cook 18 pounds each of beans and rice, as well as hundreds of pounds of pork, beef and chicken and dozens of delectable handmade flour tortillas that are so good you can eat them plain. 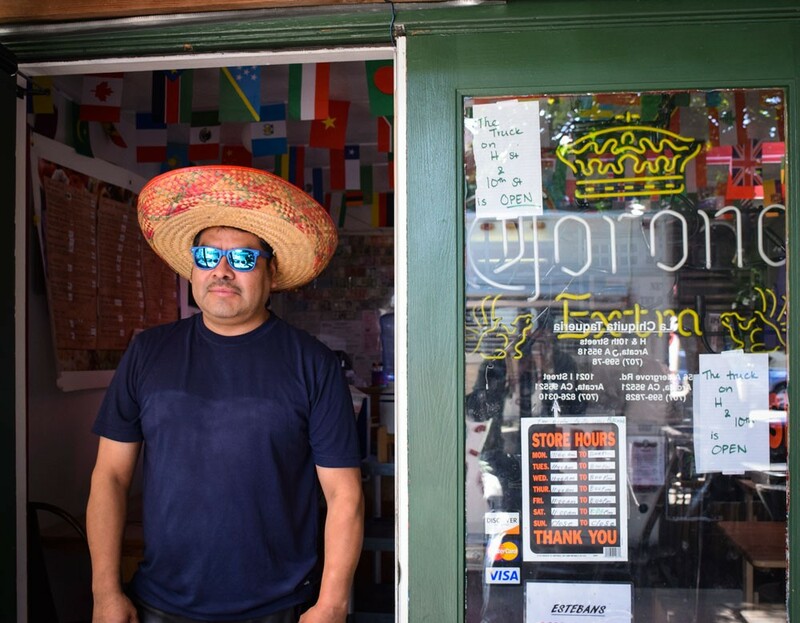 Here, you might even get a quick aside about the time Gonzalez chased off a gun toting robber from his I Street restaurant with his kitchen knife. Then, finally, one of those high-definition NBC cameras would zoom in as Gonzalez rolls a perfect burrito bulging with stewed pork. The camera would pan up to Gonzalez, who, entering the 12th hour of his work day, cracks a subtle smile and affectionately teases the 4-year-old eagerly awaiting the burrito she specifically ordered without cheese. "Extra queso?" he asks with a chuckle. Of course, this isn't the Olympics. But don't try to tell me for a second that Esteban Gonzalez didn't stick the landing. In 1967, Dottie Simmons fell in love. Like many of her generation, she was traveling from adventure to adventure when she found Humboldt County. "It was a beautiful place," she says. "It spoke to me." Then Dottie Hochberg, she moved to Humboldt County in 1968, to a little trailer on a big ranch in Myer's Flat. She met a cute guy with long hair who was building a fence — Dennis Simmons — and fell in love all over again. The two have been together for almost 45 years. 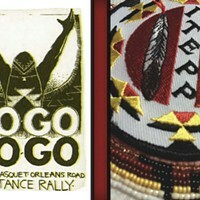 Early on, they discovered a mutual desire to go back to the land. "We're both infinitely curious," she says. "Everything we do, we try to know all about it. We raised a pig, killed it, bled it, scraped the hide, made salami and bacon and lard — once. Then we were like, 'OK, we know we can do this.'" The couple moved around the region in the 1970s, to a mining claim in Denny, to Salyer and Hawkin's Bar, raising pigs, goats, rabbits, chickens and kids. In 1977, they found the property they would dub "Simmonsville," a small homestead near Dinsmore. Simmons said they were "twitterpated" with the land, the nearby Van Duzen River, the view of the mountains. Along with raising almost all their own food and spinning their own yarn, all off the grid, Simmons started her own soap company in 1979. Simmons Natural Bodycare went on to several decades of success and profit. Simmons attributes the inspiration to start a home business to motherhood. "I thought I could be a mom for 15 years without doing anything else, including losing my mind, but I was wrong," she says, laughing. Now with the children grown and the business sold, the Simmonses are enjoying a busy semi-retirement. Dottie Simmons still grows, cooks and preserves the majority of their food, along with volunteering as a dispatcher for Southern Trinity Ambulance Rescue and driving supplies for Cal Fire in the fire season. "We're not rich," she says, "But we're very wealthy." The sugar high at the aptly named Happy Donuts starts well before the first bite of that chocolate old fashioned. It sets in as soon as the drive-thru window opens to the frosting pink smile of its owner, the irrepressible Natalie Dy. Just try not to grin back when she calls, "Hello, my dear!" If you've been there more than twice, Dy likely knows your order. Her memory is freakishly good and, aside from the receipts and taxes her accountant handles, everything — inventory, orders, the daily operations — is in her head. Dy will sweetly suggest your favorite before upselling you, smooth as custard, to a couple more and throwing in a bonus treat that makes you feel like a cherished regular. Because that's what you are now. Seven days a week, Dy wakes up at 4 a.m., sets a land speed record for pageant-level makeup and accessorizing, and zips into her shop at 4:30 to start cranking out the fritters and crullers. She'll be there, minus breaks, until she closes up at 11:30 p.m. (Don't worry about her locking up; she's got law enforcement regulars and is always packing pepper spray and metal tongs.) Asked about her life outside the shop, she shakes her head. "No, no life. This is my life." So why doesn't she look a little glazed? Well, she eats a couple of doughnuts a day (down from six when she started) and she genuinely loves her work. "When I see my customers, I get energy ... they give me lots of love," she says. Some of that contagious happiness comes from the fact that Dy is living her dream. Originally from Phnom Penh, Cambodia, Dy, who speaks Mandarin, Cantonese, Tie-chiu, Vietnamese, Cambodian, English and a smattering of Spanish, immigrated to California in 2006 on a mission to start her own business in a safer country. Dy comes from a family of entrepreneurs. "We've never worked for anyone," she says. And Dy has made a home here. 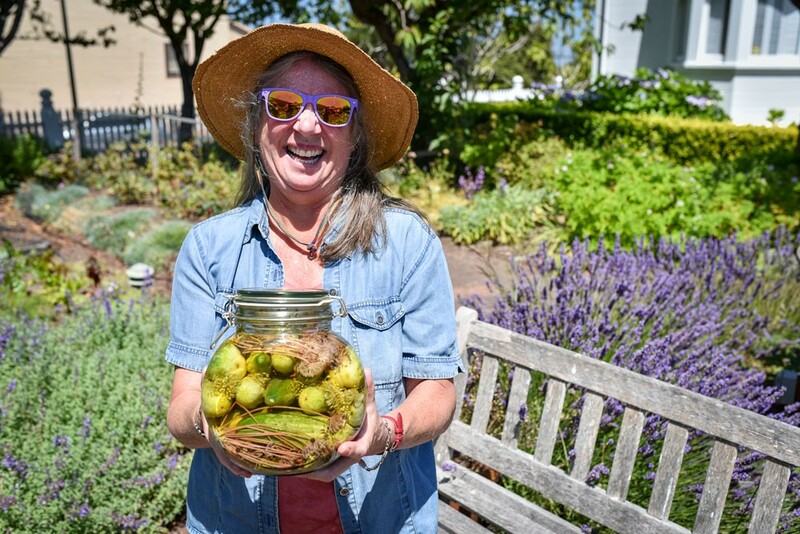 "I love Humboldt," she says, "because people will care about you." When she returns from well-earned annual trips abroad, she says customers stop by to see if she's OK, having missed her beaming face behind the counter. "They treat me like a family or a friend," she says, smiling, of course. That's pretty sweet.